It was close but not close enough. 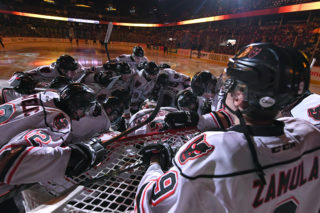 The Hitmen dropped to 0-2 after a 4-3 loss to the Red Deer Rebels Friday night to kick off a three-in-three weekend. 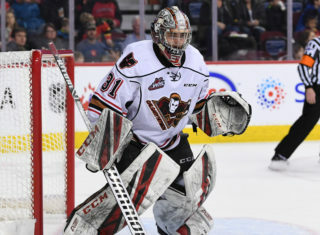 Zach Huber, Layne Toder and Hunter Campbell all found the back of the net for the Hitmen while Carl Stankowski ended the night with 24 saves. 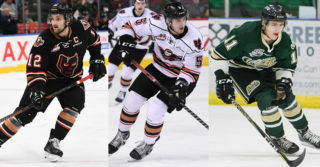 For the Rebels, Jacob Herauf, Alexander Alexeyev, Jeff de Wit and Brandon Hagel provided the goals for the home side. Goaltender Ethan Anders made 30 stops for the win. 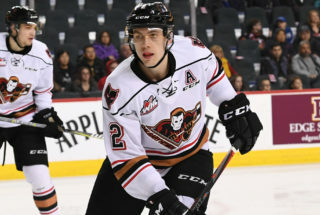 The Hitmen would open up the scoring after Huber scored his first goal of the season, following a hard fought shift throwing a massive check on a defender before getting loose in front and finding the back of the net for a 1-0 lead. The lead was short lived as the Rebels would even the game up just three minutes later as Herauf would score off a screen with a wrist shot from the slot. After being deadlocked at one after 20 minutes, Red Deer would then take a 2-1 lead thanks to a powerplay marker from leading-goal scorer Alexeyev, as he snuck back door and tapped home the cross-crease pass. 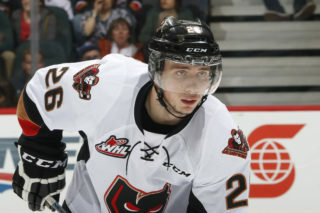 The Hitmen would find a way to get back to even with a strong forecheck leading to Toder picking up the loose puck by the boards and firing a wrist shot in a crowd that beat Anders over the shoulder. Red Deer would take the lead right back just 26 seconds later though, as de Wit let a wrister go on the rush that caught the inside of the post and went in. To start the final stanza, Hagel extended the lead by two 42 seconds in finding the top corner in the high slot that ended up being the eventual game winning goal. Campbell did make things interesting, scoring with just over 13 minutes left in the contest getting free in front throwing a pass in front of the Rebels crease that went off a defender and in, but that was as close as they would get. Calgary now returns home for a pair of home tilts starting Saturday night against the Edmonton Oil Kings in the Papa John’s Home Opener. The three-in-three weekend then wraps up Sunday afternoon as the rematch of tonight’s clash is set for a 4 pm start at the ‘Dome.